Cenovno ugodna in integrirana rešitev za izdelavo 14-kanalne HD predstavitve v živo s štirimi kamerami z maksimalno ustvarjalno ognjeno močjo. Video strokovnjaki, televizijske postaje, blogerji in organizacije, ki želijo prenašati video vsebine na spletu, proizvajati dogodke v živo in razširiti zmožnosti produkcije, so odkrili, da se svet video produkcije razvija. Na spletu si vsebino ogleduje več ljudi kot kdajkoli prej, apetiti po kvalitetnem programu so vse večji, zato morate izstopati in vzbujati pozornost. TriCaster 455 in vključena natančna nadzorna površina strojne opreme vam omogočata izjemno odzivno konzolo za neposredno navigacijo po sistemskem uporabniškem vmesniku, kar vam daje dodatno možnost za upravljanje vaše produkcije v živo. TriCaster je zasnovan za mobilnost in prilagajanje vsakršnemu majhnemu prostoru ter nudi hitro nastavitev, celotne zmožnosti produkcije v živo, vgrajeno večkanalno ISO snemanje in najmočnejši sistem z učinki preklapljanja na svetu, da manjše predstave naredijo večji vtis s katerekoli lokacije. Go from zero, to live with up to 4 cameras. Add digital media from four built-in players and 2 network sources that share video and audio from any Windows PC, Mac or wireless iOS device. Get 4 M/E-style virtual inputs to stage live virtual sets or create custom picture effects and presets. Use all of this for the quintessential live-show combination for starting out, breaking out, or adding on. Going mobile with your live events is even easier when you have options for managing your production. A keyboard and mouse is one way; the control surface, included with every system, provides better tactile control at a much higher level. You’re in the driver’s seat with a responsive console at your fingertips for hands-on navigation of the system UI, and access to every source and function of your TriCaster. And the compact frame is a perfect fit for your mobile production or the tight spaces that often go hand in hand with smaller shows. Produce a network-quality show from places you've never been able to before. Make the most of just 2U of rack space in a production vehicle or other space. Expand the horizon of your live production comfort zone with a new freedom of movement that's just not possible with racks of individual components pieced together. 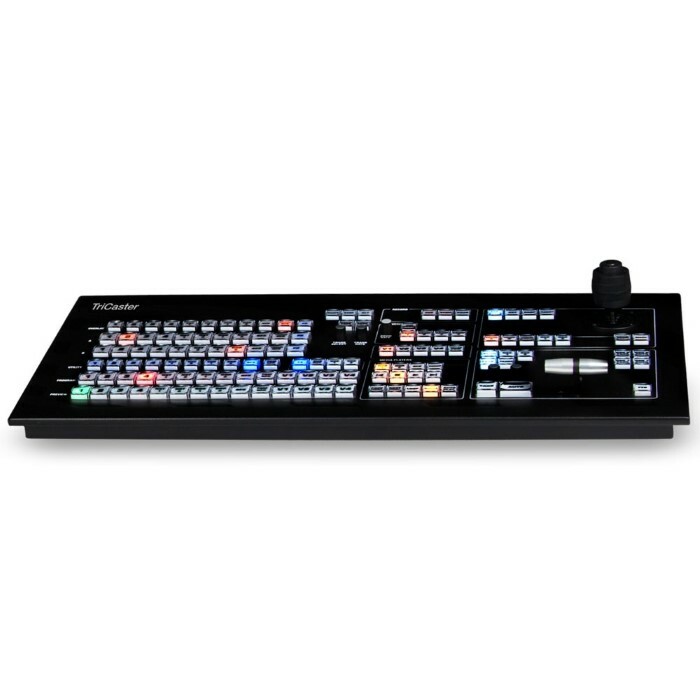 TriCaster 455 has vast turnkey capabilities without a monolithic footprint. Create a small workspace with room to spare. Integrate into an existing studio; slide into a tight space at school, the garage, or a storage room. Replicate your signature look across other programs, suites, and vans; or add to your current switcher, multiplying its channels, capabilities and visual appeal―upstream or downstream―at a price you can afford. 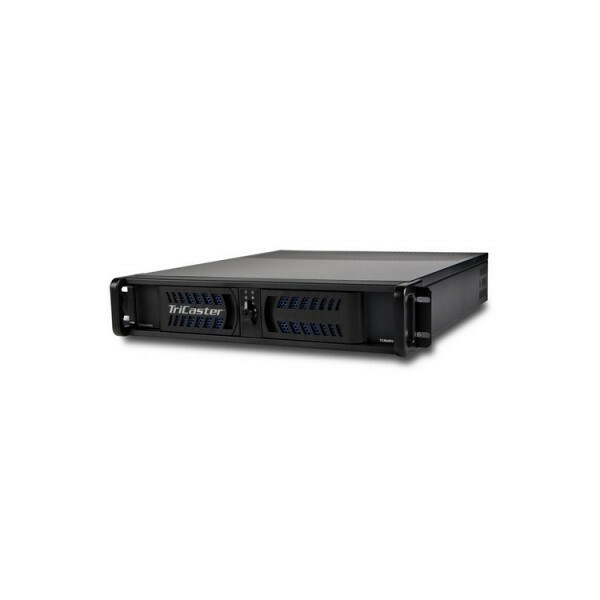 Innovative IsoCorder™ technology combines the capabilities of racks and racks of video capture equipment, enhancing TriCaster 455 with a built-in, real-time ISO recording system, accessible directly from the user interface. Multi-track, multi-format recording of up to four simultaneous channels lets you record your entire show, select footage from any camera, and more. Handle it all at full resolution to meet your most challenging post-production demands. No canned, "stock footage" look for you. Your signature look requires a style that makes an impression on your audience. 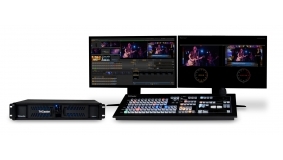 TriCaster 455 hosts the most powerful integrated effects engine in live production. Choose from full-color, animated transitions with alpha channel and embedded audio; deliver a cohesive presentation with imaginative, branded elements, like real-time cloth dynamics, 3D video warping, and transformations with TransWarp effects and motion overlays. Create your own custom effects using the included Animation Store Creator application. 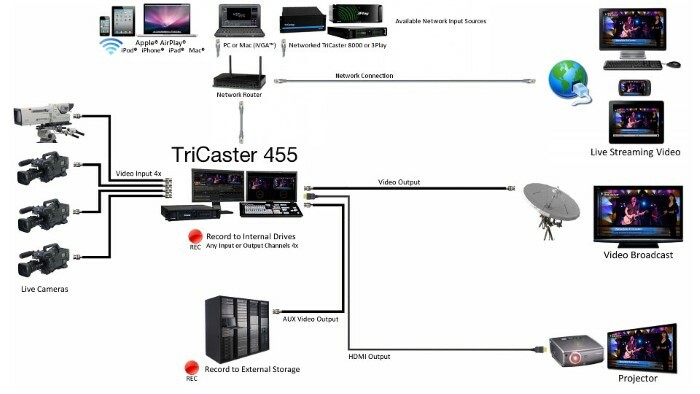 TriCaster 455 removes the guesswork and gear-grinding that can spell disaster for a production on location, or in a time crunch. With default encoding in QuickTime®, encoded files embedded with timecode and four audio tracks, you have the comfort of a high-quality, universal file format that floats effortlessly between TriCaster, Mac® and Windows® platforms, and all common editing and post-production software. Plus, codecs for Mac and PC that let you encode media assets for optimized, real time. This is what it's like to say yes to every request. Switching. Encoding. Streaming. Keying. Graphics. Playback. 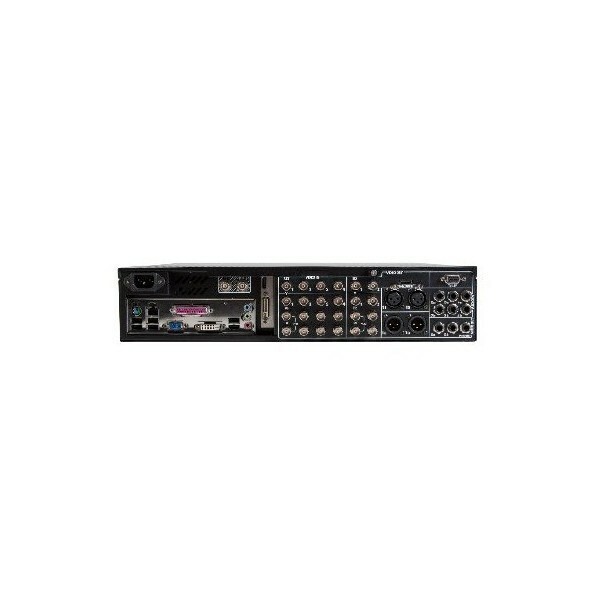 This is a six-input, two-output system design that hits the sweet spot for taking on productions of every proportion. Opportunity is banging down the door. Let nothing stand in the way of getting the look you want or the professional presentation your organization demands. Multi-layered video compositing and motion effects. 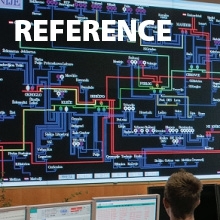 Fully-integrated virtual set system. Custom graphics creation. Develop a signature style or change it up. The choice is yours. Stunning Studio Sets and Backgrounds. Raise eyebrows and the profile of your show. You can get a totally branded, network-style studio environment without the high cost or construction. Broadcast live from a multi-angle virtual set. Complement your presentation with double-box effects, custom graphics, and more. Record Live Streaming Video, Simultaneously. It's easy when both Web streaming and program recording are built right into your production operation. Maximize online views with support for multi-bitrate streaming profiles, and even access online CDN accounts and view streams in real time with a built-in Web browser. Without missing a beat, record the entire program in the background for uploading, later viewing, archiving, or to save on disk. The integrated multi-channel audio mixer supports a companion Apple® iPad® application that delivers fingertip control over sound. You can literally hand over control of levels, connections, group assignments, and more with the popular touchscreen device, smartly sharing the workload while keeping your small production footprint intact.